Is The Dow Chemical Company (DOW) A Good Stock To Buy? Most investors tend to think that hedge funds and other asset managers are worthless, as they cannot beat even simple index fund portfolios. In fact, most people expect hedge funds to compete with and outperform the bull market that we have witnessed over the past few years. However, hedge funds are generally partially hedged and aim at delivering attractive risk-adjusted returns rather than following the ups and downs of equity markets hoping that they will outperform the broader market. Our research shows that hedge funds do have great stock picking skills, so let’s take a glance at the smart money sentiment towards The Dow Chemical Company (NYSE:DOW). 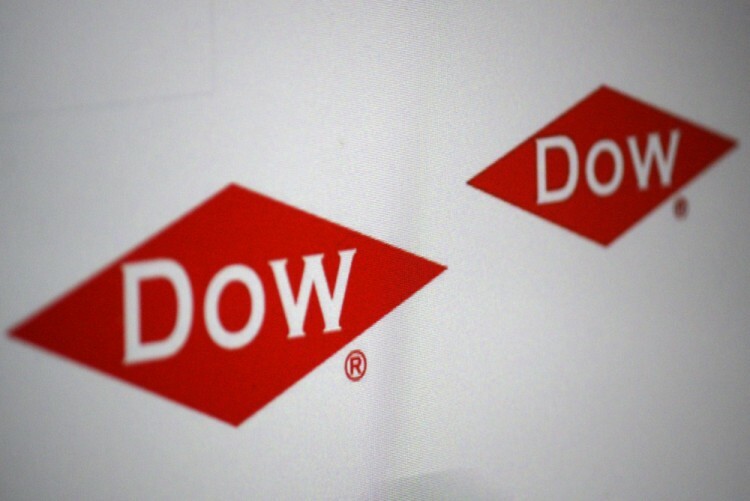 So, is The Dow Chemical Company (NYSE:DOW) a bargain? Hedge funds are getting less bullish, since the number of investors holding shares inched down by one to 47 during the third quarter. At the end of this article we will also compare DOW to other stocks including HDFC Bank Limited (ADR) (NYSE:HDB), BT Group plc (ADR) (NYSE:BT), and Statoil ASA (ADR) (NYSE:STO) to get a better sense of its popularity. Keeping this in mind, let’s take a glance at the key action regarding The Dow Chemical Company (NYSE:DOW). 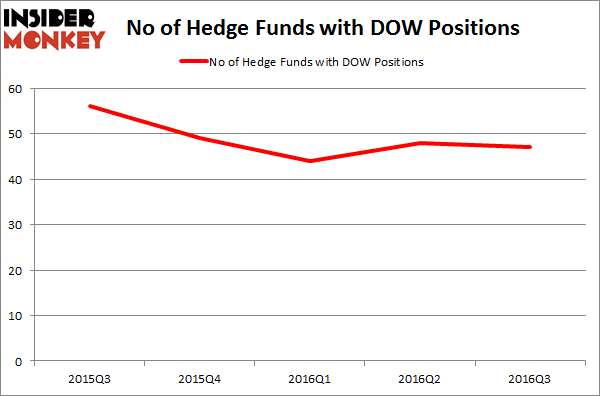 What have hedge funds been doing with The Dow Chemical Company (NYSE:DOW)? At the end of the third quarter, 47 funds tracked by Insider Monkey were bullish on The Dow Chemical Company (NYSE:DOW), a decline of 2% from the previous quarter. With hedgies’ capital changing hands, there exists a select group of noteworthy hedge fund managers who were increasing their stakes meaningfully (or already accumulated large positions). Of the funds tracked by Insider Monkey, Third Point, managed by Dan Loeb, holds the most valuable position in The Dow Chemical Company (NYSE:DOW). Third Point has a $1.04 billion position in the stock, comprising 9% of its 13F portfolio. The second largest stake is held by Larry Robbins’ Glenview Capital, with a $305.9 million position; the fund has 2.2% of its 13F portfolio invested in the stock. Some other hedge funds and institutional investors with similar optimism contain John Overdeck and David Siegel’s Two Sigma Advisors, Cliff Asness’ AQR Capital Management, and John A. Levin’s Levin Capital Strategies.